John Joe McGinley is the Head of Glassagh Consulting which is a business consultancy service with over 25 year's experience in helping businesses large and small evolve and grow. There has never been a greater need for you to take charge of your financial affairs. Fortunately, the tools available have never been more powerful or inexpensive. Plain English Finance and the accompanying book, 'How to Own the World,' explain why this is and what you can do to make the most of your money. 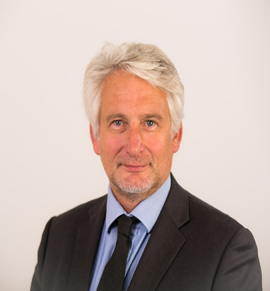 Simon Conn has over 35 years' experience in the overseas property market and has worked successfully during that period for a number of major financial services companies. He is especially well known within the overseas mortgage industry and is a regular media commentator on matters relating to the purchase or refinancing of overseas property. Simon has developed many connections within the overseas property and finance industry, resulting in a worldwide network of leading specialists to assist with local issues such as legal, insurance and currency exchange. Alan Hughes is a partner at Foot Anstey, a law firm with 485 staff and lawyers and a focus on the Banking and Financial Services Sector. Alan leads the firm's Financial Services Team and has 16 years' experience of advising within the FS sector, with a particular focus on financial advisers. Foot Anstey's detailed knowledge and experience of the sector, and understanding of the complex regulatory environment, enable them to provide focused, commercial and solutions-led advice to help adviser businesses move forward and manage key risks. Foot Anstey are trusted advisers to many regulated firms, from large networks through to SME adviser firms. Rob Tinsley is an experienced pensions professional, retirement coach and public speaker. He has a broad experience across many disciplines having held senior management positions with several organisations in the provider, IFA and EBC market.